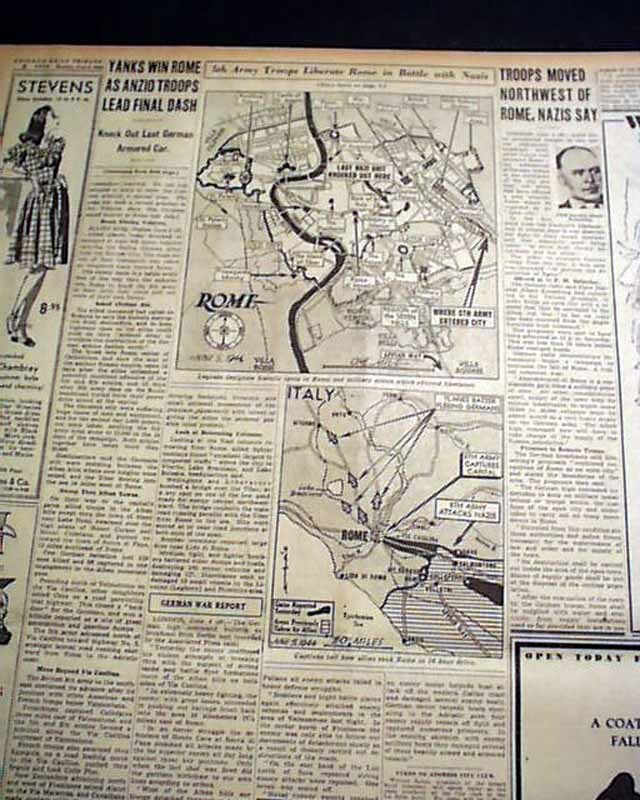 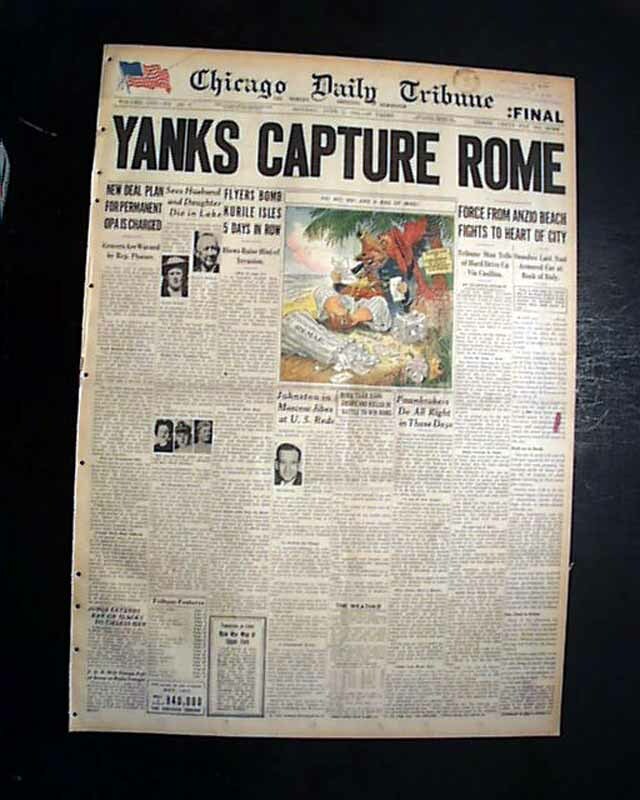 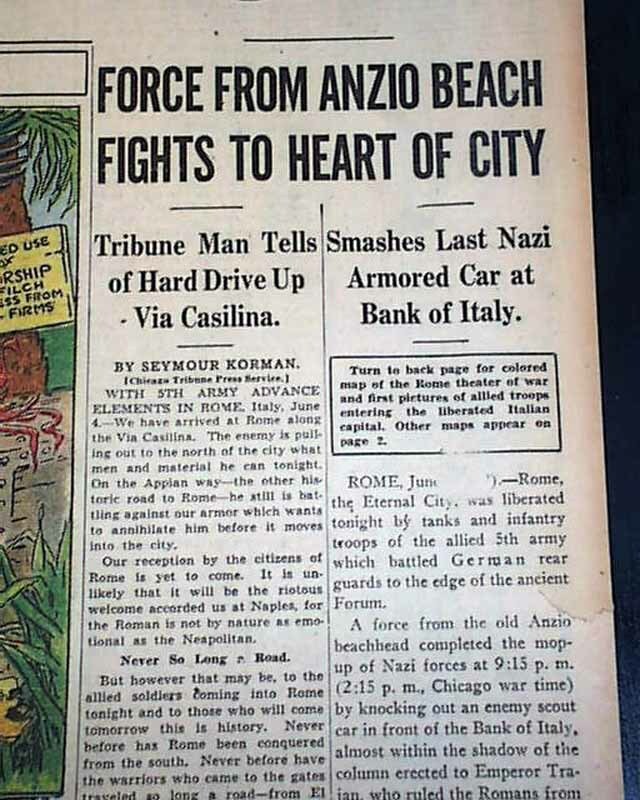 The front page has a great banner headline: "YANKS CAPTURE ROME" with subheads Nice for display A few related photos and color map is on the back page. 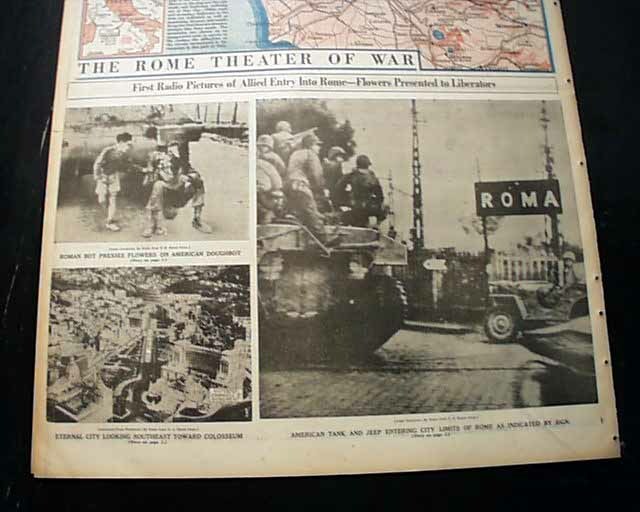 (see) This was the first Axis capital to fall to the allies. 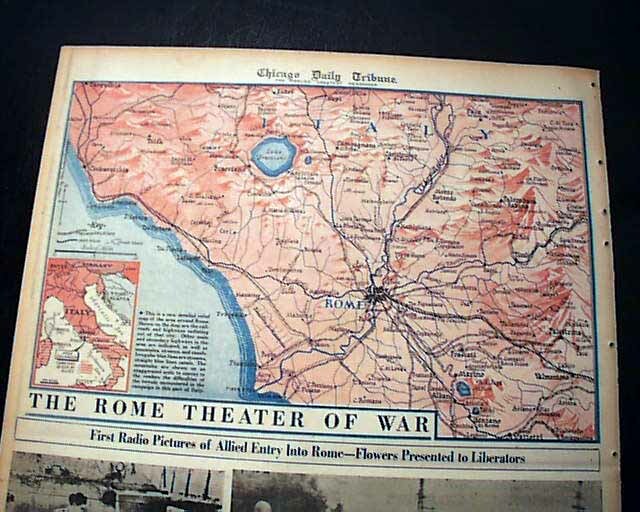 D-Day would follow 1 day later and Nazi occupied Europe would begin to crumble afterwards. 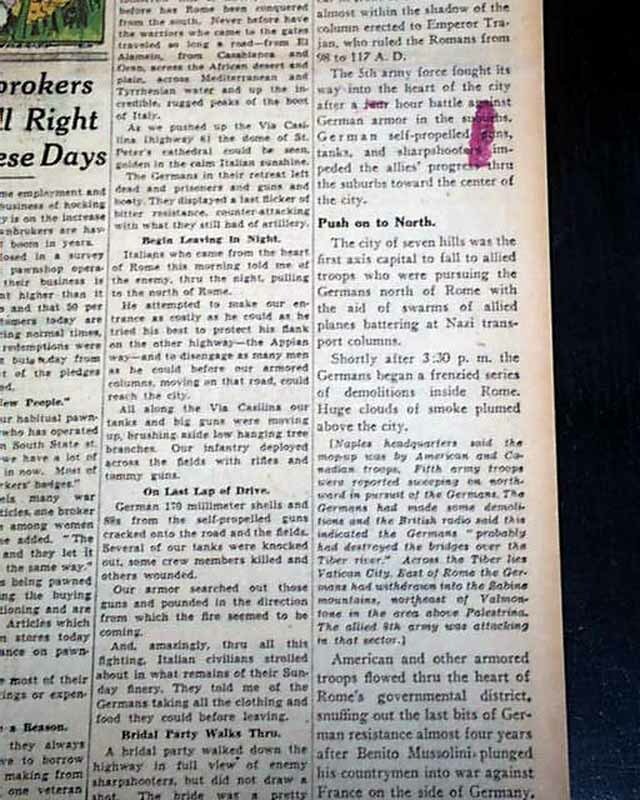 Complete with all 25 pages, light toning at the margins, small library stamp within the masthead, small binding holes along the spine, generally nice.